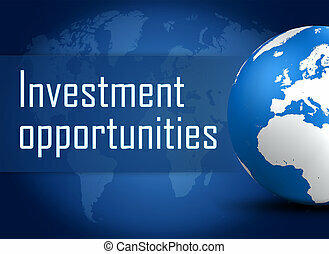 Investment opportunities. 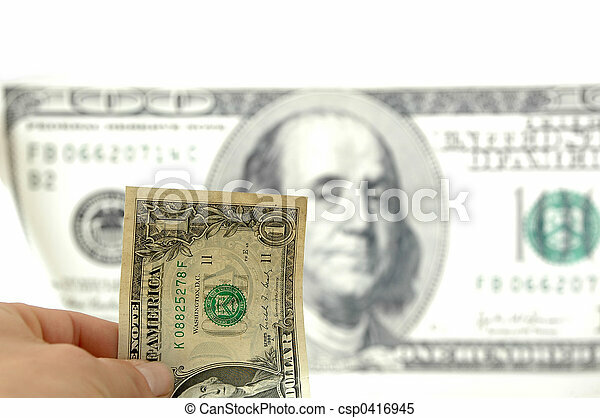 One dollar in hand, 100 dollar bill in background. 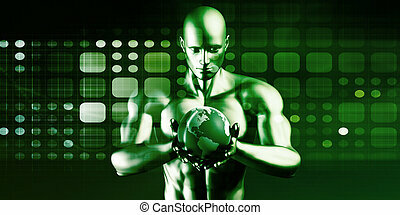 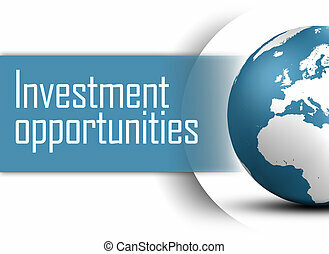 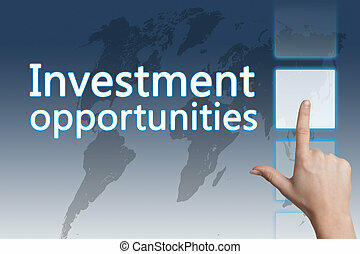 Hand pressing Investment Opportunities button on interface with blue background. 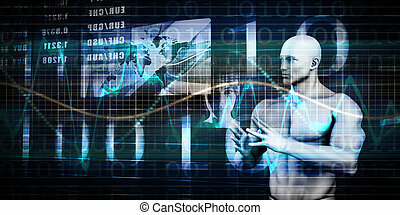 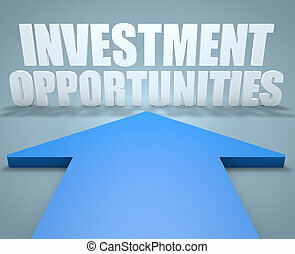 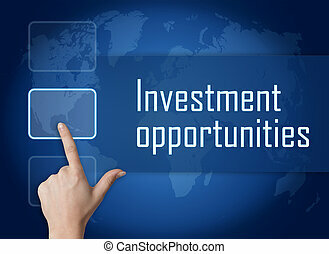 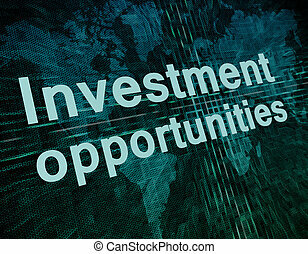 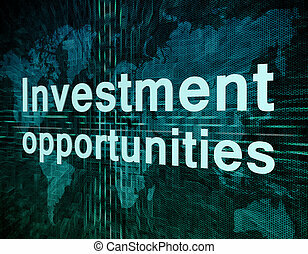 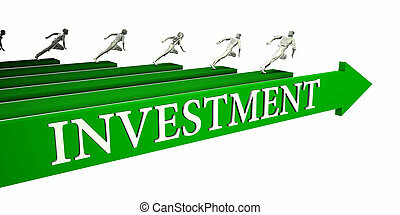 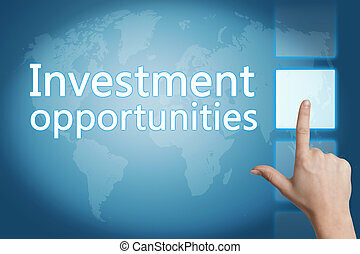 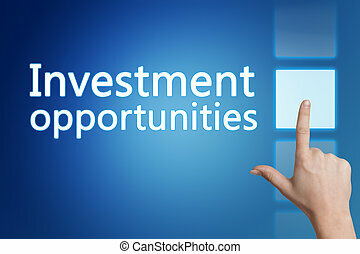 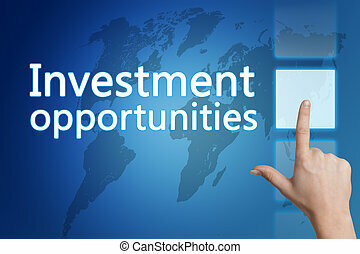 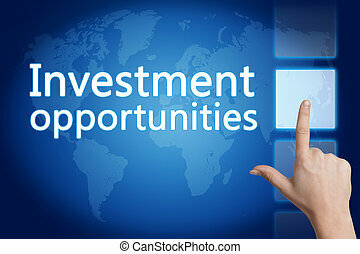 Investment Opportunities - 3d render concept of blue arrow pointing to text.